9. 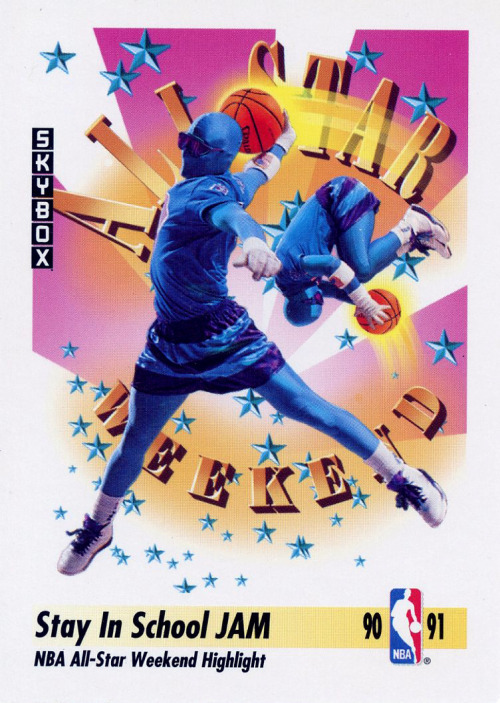 MTV Rock ‘N’ Jock Basketball (Dan Cortese, I SEE you). With all due respect to the first nine items on this list, no. 10, Starter jackets, is to Julie “The Cat”‘ Gaffney what nos. 1 to 9 are to Team Iceland. When I initially thought this, it made sense, because I once owned a Charlotte Hornets Starter jacket and wear a Charlotte Hornets T-shirt on a weekly basis. But there were other Starter styles around in the ’90s. I turned to Google in an attempt to remember what they were. That didn’t help too much. How did the Hornets Starter jacket ultimately become synonymous with the Starter jacket look? Why was it the ultimate jacket to have in the ’90s, and why does it currently carry with it the more nostalgia than, say, the Chicago Bulls or Oakland Raiders versions? Can we explain its meteoric rise? 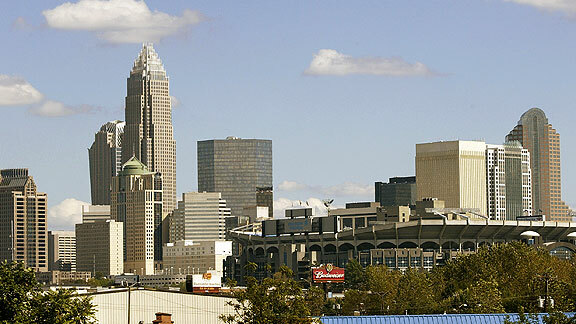 Charlotte would be in last place if this was a “Top 10 Reasons,” “Top 15 Reasons,” or “Top 200 Reasons” list. Fact: The popularity of this jacket has nothing to do with the city of Charlotte. Call this South-on-South hate, but as an Atlantan, I wouldn’t live in Charlotte if you promised me a $1,000 a day and a lifetime supply of teal and purple color contacts. If there’s one thing I know, it’s that zero percent of this jacket’s success should be attributed to the quasi-decent city of Charlotte, North Carolina. Before there was Blake Griffin, there was Hugo. We all know the clip of Blake posterizing poor Timothy Mozgov by handballing it into the basket. Yes, Blake was doing this in 2010, but Hugo was pioneering it in ’91. Sure it’s hard for kids and teenagers to truly connect with an insect and/or mythical creature that wears a teal bag over its entire body, but there’s no denying the excitement it brought to the franchise. (A word of warning, should you ever cross Hugo, NEVER bring up the New Orleans Hornets mascots, Air Hugo and Mini Air Hugo, in passing conversation. He took a lot of the blame for the collapsing of the franchise and slumped into a dark depression, but has been clean for two weeks now. We wouldn’t want to trigger any harmful behavior.) 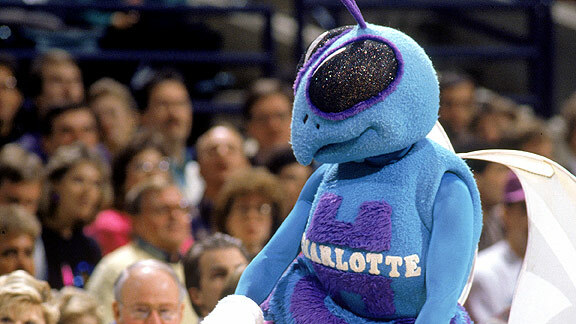 There were definitely a few kids led to the Hornets Starter by way of the flyness that was Hugo. Franchise teams are like freshman girls in college: They bring a level of excitement to the scene, they go out of their way to stand out, and they get a comically large amount of positive attention, even when they publicly embarrass themselves on a consistent basis. (Yes, in this analogy, we, the consumers = senior guys.) The way the Hornets began their history (and ended the ’80s) was abysmal, but based on the masses of senior guys that came out to watch these freshman girls miss layups, turn the ball over, and lose at an alarming rate, you would think they were playoff bound. 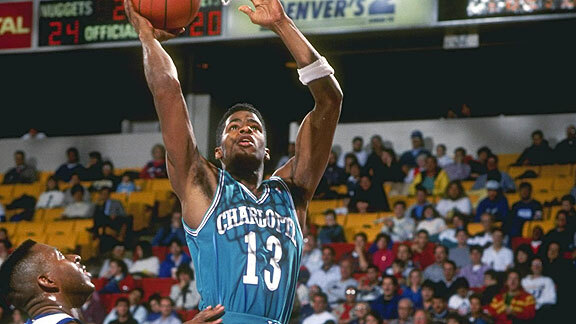 It was apparent that newness was more important to popularity than success, and the groundwork laid in the late ’80s launched the Hornets’ fan-favoriteness into the stratosphere in the ’90s, once they actually started becoming a good team. There’s no surprise that the newness of the gear made the Hornets Starter extremely desirable, but at a much higher rate than the three other late ’80s expansion teams (Miami Heat, Orlando Magic, Minnesota Timberwolves). What separated the Hornets from the other three? Keep reading. Kendall Gill. Muggsy Bogues. Larry Johnson. Alonzo Mourning. Glen Rice. Anthony Mason. Dell Curry. The dilemma that consumers initially had with the Hornets was, “I need like six Hornets jerseys. What am I to do?” Enter Starter jackets, allowing you to simply show your love for an entire franchise. Yes, seeing a Gill jersey for sale would probably send me into anaphylactic shock, but the long-term decision to invest in a Hornets Starter jacket was easily the way to go. 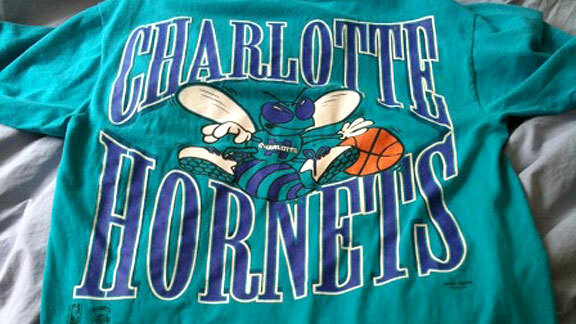 Based on their laughable start as a franchise, there’s no way anyone could have predicted the players on this team to practically reach cult-athlete status, but I’m certain the rag-tagness of the Hornets contributed to their popularity, and to the popularity of the jacket. 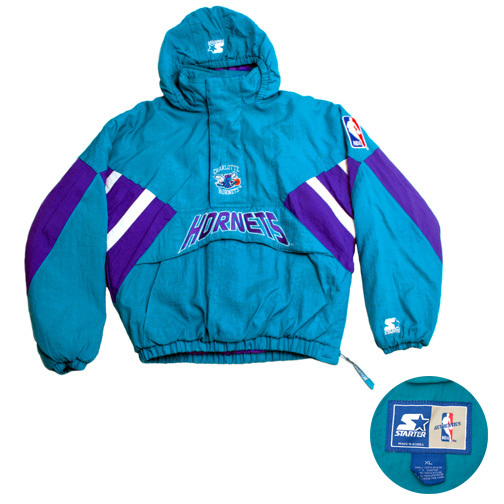 The outfit of the ’90s, without question, is a Charlotte Hornets Starter jacket with a Mighty Ducks snapback. There isn’t even a close second. The common thread between the two teams and their apparel: teal and purple. In the ’90s, these two colors were markedly different from some of the other popular Starter jackets (the Raiders’ black and silver, the Bulls’ red and black, the Cowboys’ blue and silver). Full gangs can (and have) mobilized around these Starter jackets. Never really heard much about teal-and-purple gangs terrorizing residential communities. You know why? It’s impossible to be in a bad mood when you are wearing teal and purple, especially when that teal and purple manifests itself in a Hornets Starter jacket. No one could have predicted the way in which the color scheme took off, but it was and still the main reason the Hornets jacket is the Starteriest Starter Jacket. If you used to have one and have managed to hold on to it, bravo to you. If you’re like me and outgrew yours some years back, maybe today is the day you go and find one online, as to regain that happy feeling you had years ago. And if you’ve never owned a Charlotte Hornets Starter jacket, stop what you’re doing and go buy two, but only if you’re OK with being heavily complimented, being revered by your peers, pupils, and elders, and looking better than ever before.